Subsequently, he established three engineering institutions at Hyderabad, Tirupati and Kadapa. These colleges help the engineering graduates reach sophisticated educational and professional level by developing their pertinent interpersonal skills, helping them to discover their individual niche, and connecting them with career assignments they are truly passionate about. 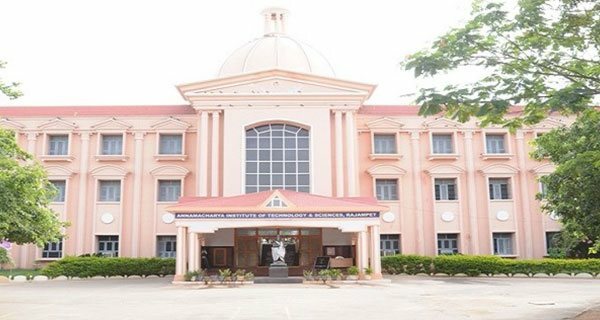 The institutions named after the Pada Kavitha Pitamaha Sri Annamacharya, thoroughly acclaimed by the stakeholders for their unswerving determination to provide unparalleled quality education in their most advanced infrastructural facilities. 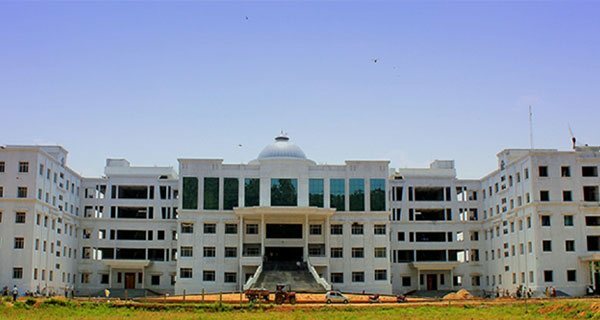 The engineering colleges founded by Annamacharya Educational Trust are on par with the premier institutions in the state in terms of ambience, placements, and regulating the budding talents of young minds. The Group also offers education in the streams of engineering, management, pharmacy and teacher education. At our institutions, each student learns to identify, appreciate and imbibe the virtues in others, to be open-minded and objective, reciprocative and responsible. Students learn to mould thoughts that enable communication. Opportunities always welcome people who can apply themselves their knowledge and their capabilities at work. For more than two decades, we have established educational platforms for young scholars across Telangana and Andhra Pradesh regions. We are a group of individuals working together to mould the lives of rural children with education. We believe that education liberates people from the shackles of societal and economic inequities. With an aim to endow children from rural background to develop innovative technical skills and become enlightened professionals, we have inaugurated institutes to cater to the educational needs of the local regions. All the children do not have the exclusive opportunity to study in so called “elite colleges” in urban areas. Our institutions endeavour to remove these barriers and provide accessible education with a comprehensive curriculum to compete in the fast-growing world. Initially, when we had taken the step to achieve this vision, we managed to set up institutions only in local areas. With continuous and strenuous efforts of the members of the group, we have achieved to fulfil the mission to improve the quality of education significantly across both Telangana and Andhra Pradesh states. We would like to thank all the students, parents, administration and our faculty members who supported us constantly to turn my dream a reality. We promise you that you will have an enlightening educational experience and achieve success in your career. We continue to strive to promote the best education in the country. Annamacharaya group of institutions is proud to be recognised by diverse group of universities and eminent bodies since 1997. Below are some of the affiliations and accreditations. 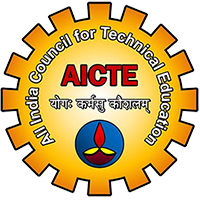 AICTE has granted an approval for all our engineering institutions for technical education. This approval is the testimony for our quality education and standard development of students in technical sectors. Students qualified from our institutions are valid for all private and government employment. Further, our students’ qualification is accepted across the country as well as overseas. 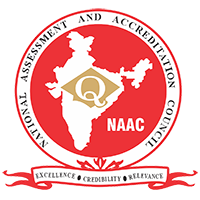 NAAC assessed and accredited our institutions for higher education with A and A+ grades. They have recognised our institutions for contributing and nurturing young scholars to reach their potential. 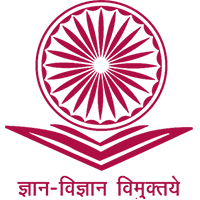 The accreditation symbolises the excellence, credibility and relevance of the education we provide at our institutions. 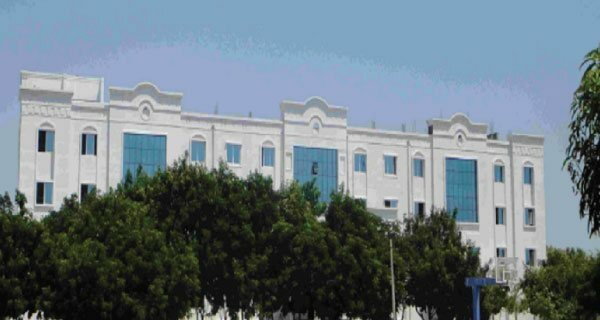 It benchmarks the academic quality determined by University Grants Commission. 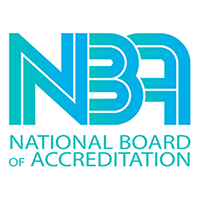 Annamacharya Institutions can be assured to receive education which is a balance between high academic quality and professional relevance with NBA accreditation. The curriculum of programmes at our institutions is constantly updated and improved to meet the standards of the world needs. NBA also supports and advices our institutions for enhancement of technical courses. 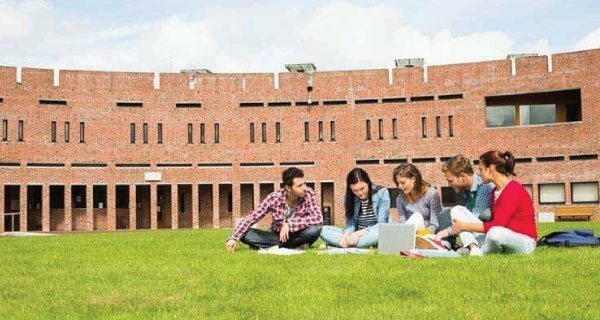 University Grants Commission (UGC) recognises all our institutions for coordination, determination and maintenance of standards of education. It granted us to promote higher education in different areas including engineering, management, pharmacy, education and others. The norms encouraged our institutions sought to indigenous education. UGC also supports our institutions in carrying out research, analysis and international summits. 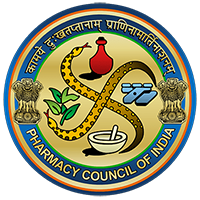 Annamacharya Pharmacy institutions have received stature to promote superior education to aspiring young pharmacists. The colleges have fulfilled all the standard norms of imparting pharmacy education. Students from these institutions can cherish qualification outside the region and can explore opportunities across the globe. 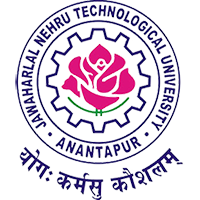 Annamacharya Institutions in Andhra Pradesh are affiliated to JNTU, Anantapur. 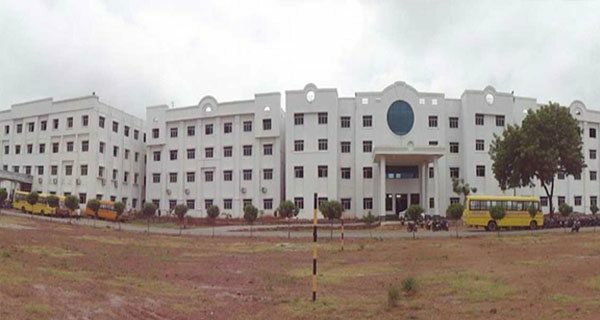 The colleges administer different schemes of JNTU, Anantapur, to provide quality technical education to our students. From providing multiple career opportunities to progression of students towards higher education, the colleges benefit all the perils of the affiliation. 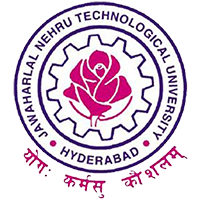 Our institutions are also affiliated with JNTU, Hyderabad to deliver best academic practices across the states, Telangana and Andhra Pradesh. JNTUH has granted affiliation to our UG and PG engineering programmes to enhance career options for students in the region and collaborate with faculty to bring excellence in education. 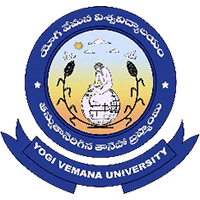 Annamacharya Group of Institutions is associated with Yogi Vemana University, Kadapa to inculcate moral and ethical values among our students in the pursuit of true knowledge. They support the institutions in creating a vibrant and vigorous environment for scientific and intellectual enrichment. Completing his Masters in Commerce and being selected in APPSC Group-II, Sri. C. Gangi Reddy garu served as a Sub Register in the registration department of AP Government in his initial days. He, later then, became the District Registrar for Ranga Reddy district in the year 2005 and took voluntary retirement in the year 2009. Gangi Reddy strongly believed in the statement that education brings obedience and as one is growing-up, he/she must be more obedient. Most of the time, people believe in helping others by providing financial help to the others. But he believes in moulding the others such that they can earn themselves. This was the idea which paved the way for the establishment of many educational institutions. It was not limited establishing them, but also bringing them up on sound lines, giving the maximum importance for the maintenance of the standards through effective implementation of rules and regulations. The State Government of Andhra Pradesh conferred on him “RayalaseemaRatna” award in recognition of his commitment to uplift the rural region of Rayalaseema by means of providing top-class education. C. Gangi Reddy also received the coveted Edupreneur Award 2013 in Awarding Ceremony in New Delhi presided over by DrShashiTharoor, Former Union Minister of State for Human Resource Development, for his outstanding contribution towards engineering education in the JNTU Anantapur region. He is the first person from Kadapa District to receive this honour. 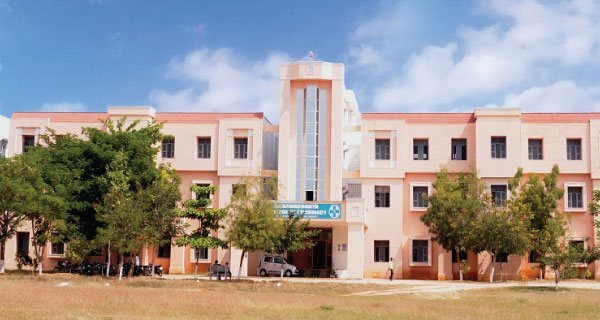 Besides, administering all the activities across different Annamacharya Institutions, C Shashikala is passionate about educating others with the best facilities for their holistic development. She plays dual role of both Finance head and Hostel Administrator for all the institutions. Her compassion towards of rural development and commitment to provide best in class hostel facilities is reflected in the provisions available for the young learners during their stay at Annamacharya Institutions. She takes strategic decisions to use the resources effectively to ensure the fulfilment of the vision of the group. C. Abhishek Reddy, specialised in International Marketing and Project from UK, vigorously endeavours for the uplift of the students in the region. Being an advisor for an MNC (Halifax Bank of Scotland) in London, he understands the world affairs. With this expertise, he has initiated to build a system in Annamacharya Group as a Treasurer. As a student coordinator, he visited several countries: France, Malaysia, Singapore, UAE, Qatar, Germany, Belgium, US to understand the educational culture and took the best of each nation. He strives to implement them in Annamacharya Institutions by redefining the concept of education. Adding to these, he is also an alumni of the London School of Economics and Political Science with specialisation in Entrepreneurship and Global Leadership. His entrepreneurial mind-set is constantly shown in his attempt to establish robust relationships with corporates to enhance Industry- Academia interface. He is passionate about executing technologies to enhance the performance at different levels. He is focussed to cultivate a research ethos and discipline that nurtures students for personality development and knowledge enhancement. Not just limiting to this, Abhishek Reddy also encourages indoor and outdoor activities to enliven students’ education during their stay at the institute. A prudent administrator, C. Yella Reddy was an agriculturist with a great interest for student development. He derives content in efficiently managing day-to-day activities of Annamacharya Group. He actively oversees constructions in the institutions besides interacting with parents on a regular basis and ensures that all activities regarding the administration of the institutions are going smooth. In addition the Vice Chairman also plays a key role in managing the admission of the institutions. A student in entrepreneurship from Harvard Business School, C. Poojitha is an individual with inherent leadership qualities and exudes enthusiasm. She is a constant source of motivation to students in being ‘on the toes’ when it comes to acquiring skills and in updating with emerging technologies. C.Poojitha takes an active role in liaising with several IT and business corporations to enhance the employability of our students; besides she also takes an active role in overseeing the Training & Placement activities in the Campus. With a rich academic background, C Deepthi is focussed to enrich students’ abilities with quality education and enable them to achieve their goals. She engages herself actively in all the administrative processes of Annamacharya Group. She also majorly takes up management of receiving approvals from the public sector to create a learning environment for students. Moreover, she assists and guides both international and local students for a smooth flow of enrolment into the institutions. 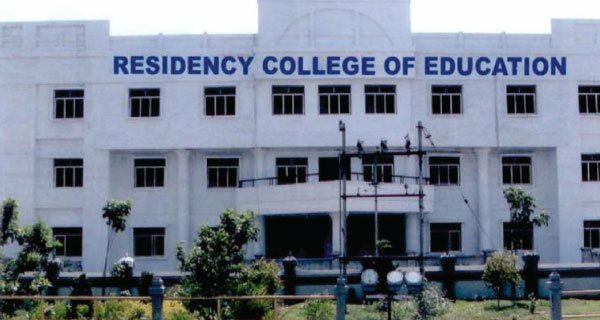 S V Radha Krishna Reddy firmly believes that physical conditions of a college building play a significant role in students’ learning. He undertakes the responsibility of planning, drafting, designing of infrastructure and offers professional architectural guidance from construction of classrooms to laboratories. He incorporates modern layout keeping the comfort of students in mind. He accompanies and monitors all the infrastructural activities and support all the institutions in preparing them with best architectural design. He is very keen on designing well-ventilated classrooms allowing students to explore ideas in tranquillity. Apart from selecting the best faculty for the colleges, Dr Ramachandra Reddy assists the faculty to become a team to nurture students to achieve Annamacharya Group’s vision. Being a health doctor, he is conscious about healthy choices of students. He constantly encourages students and other members to develop a healthy lifestyle. He strongly believes that, “as young adults healthy habits today, will keep their hearts healthy and active in future”. 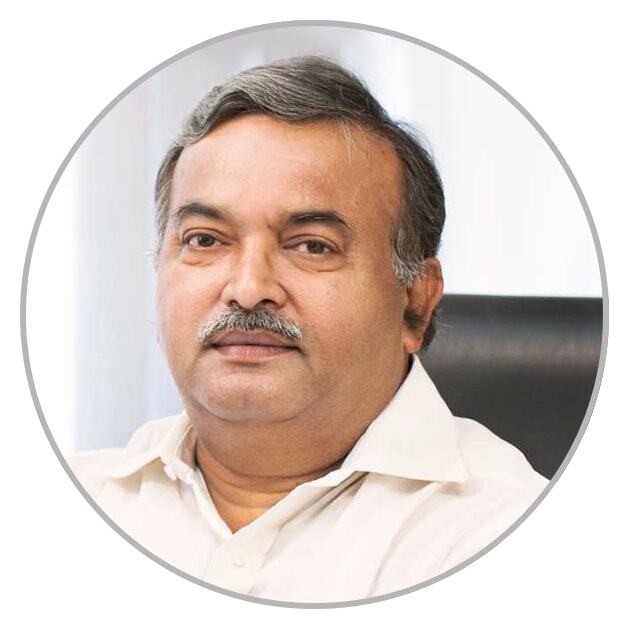 He is an active board member of Annamacharya Governing body. He has experience and expertise in organising educational activities including international conferences, expos, fests and workshops. All campuses under the Annamacharya Group have opened student chapters for professional bodies. These Student Chapters provide unique opportunities for networking, mentoring and bonding over common interests. They provide support both within the student community and to local communities outside the institution. Some of our student chapter bodies include. In the year 2011 IEEE student chapter was inaugurated at Annamacharya Institutions. 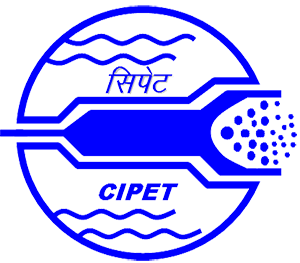 This associated with “Institute of Electrical and Electronics Engineers” empowers the students as the group is composed of engineers and scientists. This student chapter opens the door to opportunities that will help the students to develop professional identity in their field of interest. In addition to students accessing a range of membership benefits, they can make global connections with people who can help along with targeted career path through IEEE’s international community of members and volunteers. 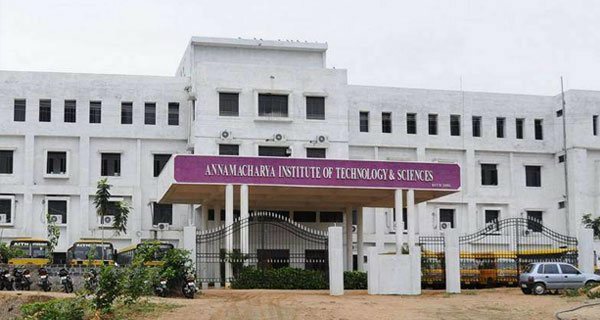 The Institution of Electronics and Telecommunication Engineers (IETE) is associated with Annamacharya Group to plan and organize technical programmes and activities, such as, special lectures, workshops, seminars, exhibitions etc for the benefit of student members on a regular basis. This provide a common platform for the students of Annamacharya Group to exchange ideas and information on the topics of their interest e.g. curriculum, employment / higher educational opportunities, emerging trends, new development etc. Further, it also facilitates technical visits / practical training / project work / employment, of the student members in R&D laboratories, industries, academic institutions etc. The focal point of this student chapter is to improve all aspects of professional development of the student members. AGI was duly admitted by the executive council of ISTE as Institutional member of the society in the year 2013. This student chapter enables our students to a member of a National Professional Organisation. The students at AGI are Eligible to participate in Chapter Level, Section Level and National Level Conferences, Workshops and other activities of your academic interest, etc. The Indian Society for Technical Education (ISTE) gives the students the preference to attend short-term training programmes for academic excellence and to become eligible for career advancement opportunities. 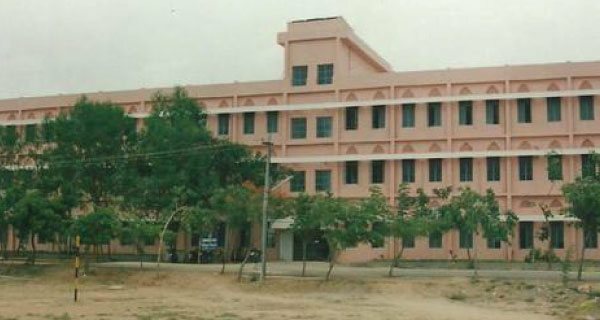 To promote the needs of the student community to be connected with the global engineers and to actively encourage research and developmental programs through various promotional aids, such as Lectures, Seminars, Symposia, Workshops and other educational programs, the AITS college management is member of Institute of Engineers, INDIA in the 3rd year of its inception. This club helps the students who want a chance to get public speaking experience in a supportive environment. The club is operated to improve communication as well as leadership skills. The CSI student chapter conducts periodic conferences and seminars. It provides unique opportunities for our students for networking, mentoring and bonding over common interests. They organize activities to bring advancement in theory and practice of Computer Engineering and Technology systems for all the CSI members. Regular interactions take place in these professional bodies to upgrade students’ skills. Annamacharya Group built strong liaisons with multiple corporate giants across the globe. These corporate connections specialize in identifying the academic needs of students and provide them with an industry interface to take informed decisions. We constantly interact with corporate companies and different industries to incorporate changing trends in our programmes. In association with our institutions, they organize projects, seminars, guest lectures, and internships. Not just supplying hardware equipment to the labs and others in our institutions, Texas Instruments organises project expos for our students and assists them to involve themselves in mini projects to explore technology trends. 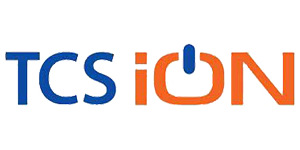 TCS (ION) conducts online tests for our students on both private and public exams. It collaborates with administration from organising bank examinations to online entrance tests. The students are also given training on the latest technologies, campus recruitment and other academic concepts. Faculty development programmes become a part of their training events. Further, today at our institutions, they are providing an exclusive training on Amazon Web Services. 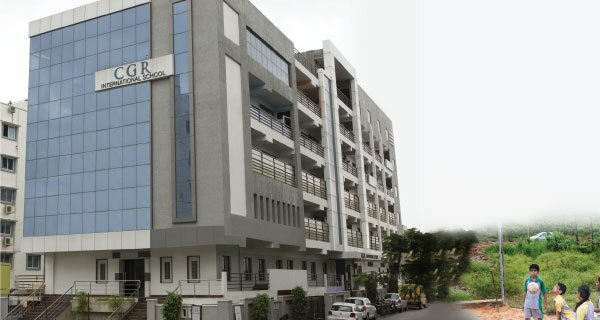 The centre works efficiently with our institutions in building college infrastructural facilities which include six major constructive labs for our students to implement the learned aspects in classes. Their major contribution includes wielding labs, CNC, Agro, Two and four wheeler engineering labs and CBT. They aim to provide high quality machinery. Annamacharya Group of Institutions is associated with Shirdi Sai Electricals Ltd. (SSE) to provide students access to better opportunities in the industry. 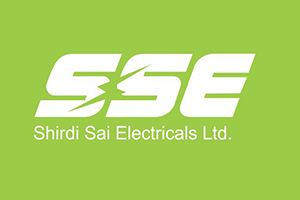 SSE, being one of the largest and leading Power and Distribution Transformer manufacturing companies in India, it supports our students by providing academic-industry interface. It further organizes seminars and workshops to give the young curious students a chance to understand how real-time industry works. 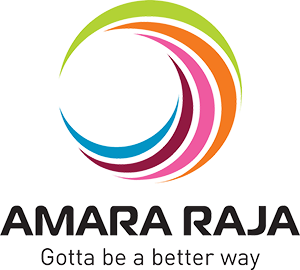 With innovations in engineering, research and design, Amara Raja collaborates with our institutions in specialising students in definite areas of study. It has grown as our corporate partner to impart skills required to work in a corporate. It, moreover, enhances students’ high end skills by giving them opportunities as an intern. Annamacharya Institutions are associated with CIPET to nurture students with entrepreneurial abilities and secure skills for today’s competitive work environment. They help students to get practical exposure designed to provide an edge in the complex global society. The software giant has chosen Annamacharya Group of Institutions as one of its ‘Platinum Certified Campuses’; as part of the certification programme, MICROSOFT organizes the following certification courses. 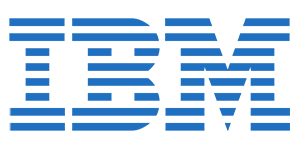 Further to above mentioned Microsoft is involved in conducting webinars and app development workshops. A Microsoft Innovations Center was also established in the cell. Over 500 students are being trained in our group every year with 250 students selected for the internship and around 100 students employed in Microsoft and other related organizations. With the recent technology trends being constantly evolving, IBM nurtures our students with the evolution IBM Watson which recognised itself as a renowned result-oriented Artificial Intelligence and also encourages students to develop an entrepreneurial mindset. Scores of students from our group of institutions participated in the IBM Contest- The Great Mind Challenge (TGMC). IBM has recognised our cell as IBM CoE Campus. 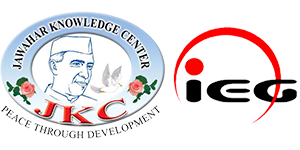 Annamacharya Group was chosen by JKC-IEG (Jawahar Center- Institute for Electronic Governance) to enhance collaboration with industries and government organizations. This association with JKC-IEG greatly helps in face lifting conventional engineering education with vibrant Research & Development activities. 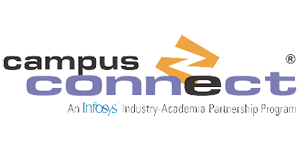 Annamacharya Group of Institutions has collaborated with INFOSYS through which it organizes various certificate courses and also helps in reorienting the curriculum and making it more relevant to the contemporary technological trends. 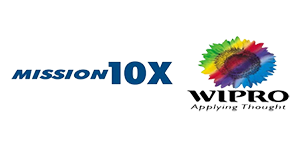 Wipro Mission 10x is an innovative program by WIPRO which is tailored to bring a paradigm shift in the teaching methodologies of senior engineering faculty. Annamacharya Group of Institutions has all the facilities by seamlessly carrying out this faculty program in all its campuses. These collaborations help Annamacharya students imbibe the trends in different Industries and meet these industry standards.